This is such a great time to be on the wine trail. There are many good wines at all levels, from so many places. There are new people coming into the field with their ideas and energy. 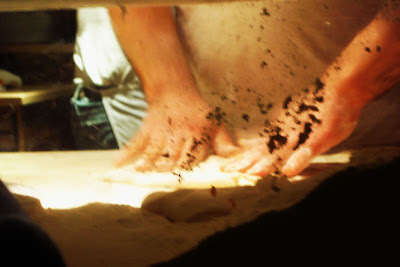 There is a confluence with the world of food and art and music, along with philosophy, economics. So many areas that touch each other. There is the fun and comedic aspect (my gosh, we laugh so much these days). And while we have some naysayers, those snarky little blue ticks that prey upon the ledges, leeching blood and energy, I reckon it’s all in the game. This week has been a good week for the forces of light and good and love and wine. 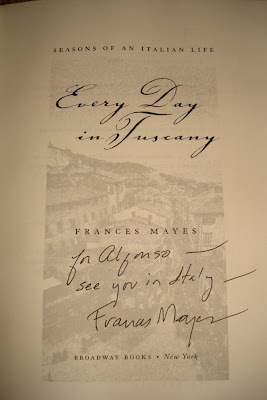 It began when I started reading Frances Mayes newest book, Every Day in Tuscany, Seasons of an Italian Life. I wanted to look at some of her recipes, as I was doing a wine dinner with local Chef, Jim “Sevy” Severson, of Sevy’s fame. We were doing a Tuscan evening, and I thought I’d get a little inspiration from Frances’ latest book. After several minutes scanning the recipes and a few pages, I realized exactly what I needed to do for the wine dinner. 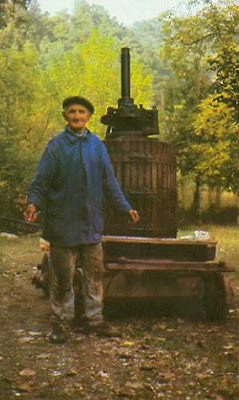 Simply, tell the stories of the people who made the wine. We had people attending who have traveled to Italy, so many times. But the more I go to Italy and stay there, the more I come to realize how little I know. In effect when one of the nasty commenters on local food blogs throws me in the grease for my stand on Italian food in these parts, they are right. But for the wrong reasons. My lament isn’t that Italian food is impossible to find outside of Italy. It’s more that the philosophy is hard to find in the kitchen. My aunt had it, so did my grandmothers. And for sure they used local ingredients. Would they call their food Italian? Would I not call it delicious? And when I go into a place, whether it be Italian or French or Thai, my hope is that there is someone in the kitchen, thinking consciously of what they are doing with their ingredients. Last night at a local wine bar, where the most amazing array of bottles kept showing up at the bar where we were sitting, a local Doctor, David Ellis, who has a passion for wine and food, stated it so simply. “My best meal ever in this town" he said, “was from Anthony Bombaci at Nana. It was a sea bass, seared in olive oil with salt and pepper.” No more than five ingredients. Oh, yeah, you can find it. Anywhere. 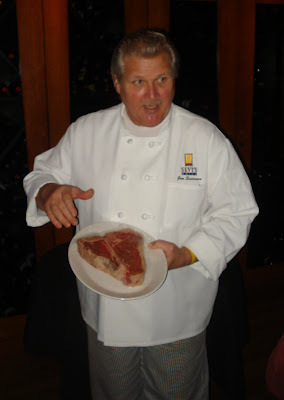 Sevy was proud of his menu; he took me back in the kitchen and showed me the bistecca in preparation. The evening would be an homage to the brightness of Tuscan cooking with wines to match. I was in heaven. The next day, a package arrived in the mail. One Vintage, a word and picture book about live in a Los Olivos vineyard. 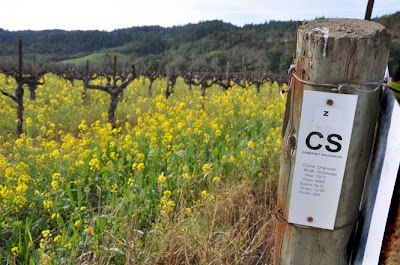 Chris Jones has found her own Bramasole in the Central Coast of California, and her sweet little book is a Valentine to all grape growers. Thanks so much, Chris, what a joy. Meanwhile, people struggle daily, with their realities. More than one restaurant I have been in this past week has had way fewer than needed people in those seats. There is nothing more challenging than to be in a place with good food and wine and have it be empty. And then, there are those places that are so darn busy, three-deep at the bar at 9 o’clock on a Saturday night. Hopeful signs, but still survival of the fittest. No room for mistakes in this economy. Hope, alone, won't keep the lights burning. Last night at that busy wine bar, in an arts district with opera and symphony overflow, people didn’t seem to be anxious. Two nights before, though as I walked around the area, the handful of restaurants didn’t have enough people in all of them to fill one of them. Maybe last night people were just ready to get out and charge it on their already overcharged credit cards, in spite of the consequences on Monday. I don’t know. But I do know there is some trepidation. I was in the mood for a Savennieres. I’m often in the mood for this wine, but last night I realized, once again, why I love that wine. It followed a young Gruner, an aged Puligny-Montrachet Les Pucelles and an even older Mazy-Chambertin. But this wine, the 2004 from Nicholas Joly is the little pillow I love to lay my head on. It was creamy, it had an edge, it was sweet, it was savory. It was minerally, it was salty, it was lively, it was mellow. I ordered a cup of butterscotch pudding to appease my sweet tooth. I have had a week where so many wine and food matches have seemed like they were perfect (all unplanned). Maybe this is the week the palate gods tell me my thoughts about such things are erroneous. 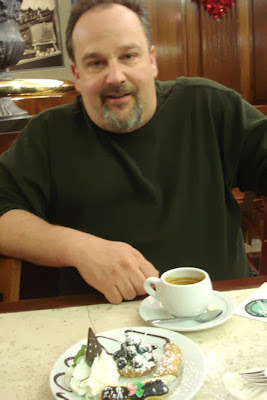 After all, the Blue Meanie Blogarazzi think I’m full of crap, maybe the wine gods agree. If that’s the case, so be it. I’ll just hop in my submarine and find another wine tasting, putting on my perennial millennial shirt and hat and facing the next flight - occhi spalanchi sul mondo – eyes wide open on the world. 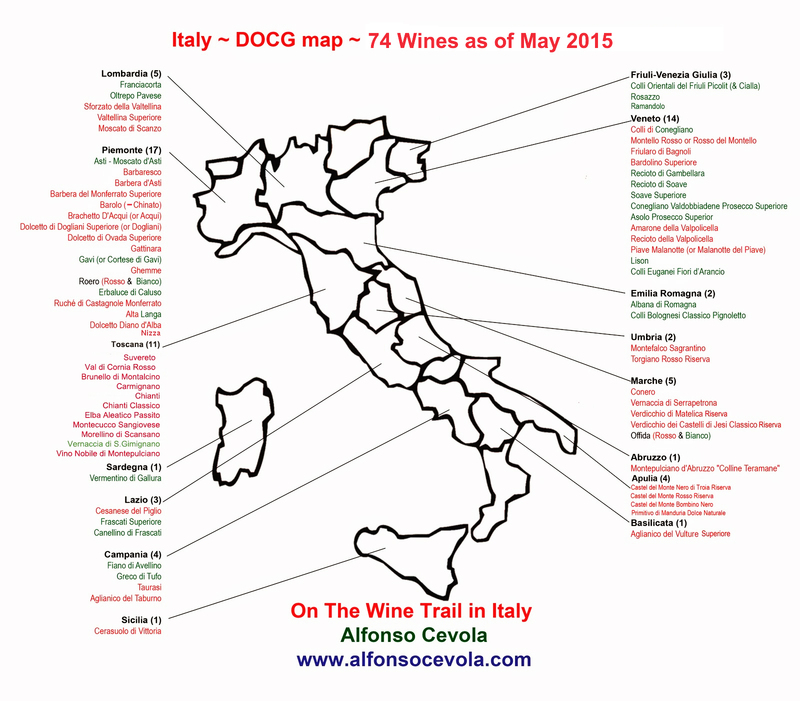 Note to Italy, to Tuscany and to Montalcino. This is just the beginning. Brace yourself. After a bit of travel between the East and the West coast, I am finally sleeping in my own bed. I have a favorite pillow which is really ragged. But the best dreams come when it is under my head. Joey the Weasel, aka Joe Strange Eye and Tony the Bone wanted a “meeting.” It seems they boys back home have been missing their Italian wine guy. They think I have been getting a little too uppity. They wanted to put me back in my place. So I agreed to a time and a place. They were just coming out of team meetings, so I waited for them, making my rounds. The place where I work has many buildings and a slew of different type folks. It’s always fun to just take a stroll around the buildings, see who is there, talk to them. And what they tell me, the things people will say. The wind up is, one can get a real sense of where a company, an industry, a trend is going, by getting a sampling of the thoughts of the folk who live there. Message received. When I found them, Joey and Tony were huddled over a computer screen like it was a fire pit at SXSW. On further examination, neither had brought their reading glasses. They were both blind as bats. Tony has this pizza place in the burbs he is working on and he wanted to let me know our Italian section was about to be invaded by the Southern Hemisphere. Tony likes easy money. I pretty well let him know that those pictures I took of him in 1981 were still in the safe deposit box, but that didn’t have to be a forever kind of thing. “Leave the Malbecs, take the Chianti,” were my parting words. Message received. Strange Eye, that was a different story. He’s just spread thin, lots of business, things are booming. “Ace, the Italian wine business is out of control. It’s like the 1980’s. I just wish I was 20 years younger and 40 pounds lighter.” We kibitzed, got a few things on paper. It’s always good to talk to the guys on the street. You know, the schlubs who make things happen on the ground level? No corner office prognosticating with them, just the facts, Ma’am. Back to work boys. As I was heading out the building, a young manager approaches me. “We’ve got to talk. That fancy new pizza place in the burbs (what is it with pizza places and the burbs?) is driving me nuts. I go in there, spend money, drop my card and the owner chumps me off. I need your help. What can we do to turn him around?” The young manager is intense, he stands upright, a good sign for someone who will be in the game for at least ten more years. We can use these kinds of folks at the battles edge. “What are you doing? Let’s go there right now and talk to him,” I suggest. “Scheduling conflict. No can do.” Hell, I’ll go there myself. I get back to my office, drop my gear and grab “Louie”. Louie is old school. He wears a trench coat. On cold days he has a crumpled fedora that he pulls out, like some kind of show-and-tell at wise guy school. He looks like a punch-drunk hit man. Fancies himself a ladies man. But he knows the game. “Louie, come with me, I need to go talk to a guy who’s got that old time saloon above his wood burning pizzeria. As I join my partner, I notice they put him at the table facing the door. 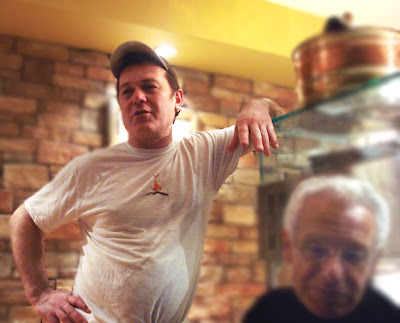 Two things you never want to do in the restaurant business, put a Sicilian with his back to the door and put a Jew with his back to an oven. After musical chairs we got down to business. 755 words in, I know too damn long again. If you’re still reading, you want the end. The rest have gone on to Twitterland. So here goes. The pitch. Louie couldn’t resist. We were being convivial, so I guess he figured a little Catskill humor would play in this saloon, which was once a speakeasy. “Vito, I think what Ace is saying is take my wines, please.” Yeah, Lou, I am. But in a subtler more Sicilian style. Vito excuses himself to tend to a problem in the oven. Lou eyes him warily. Minutes later, a duo of espressos and a platter of honey laced focaccia appear. And then Vito returns. “I was going to give you my list, but then I remember who you are and I didn’t want you to take it the wrong way. You’re not an errand boy sent by a grocery clerk to collect a bill. I just need two things.” And he came close to me and whispered them in my ear. On the way back to the office, I made a call and by the time I got back to my desk, the problem was solved. It was neat. It was clean. It was legal. I could tell you what it was, but I imagine the occasional competitor reading this post and I’m not about to give them my 30 years of experience wrapped up in the coda. Let’s just say respect is the key ingredient in that pie, laced with just the right amount of follow-up. And that’s what the real world is all about, not the lavish wine dinners in San Francisco or the vertical tastings in the Upper East Side. The nitty gritty saloon brawl battles that help keep my world safe for Italian wine. Bona Notte y’all. 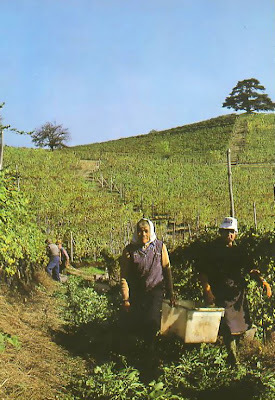 Attached is a 4 minute video in which Piero gives some interesting history of the Italian wine scene in the 1960’s and moves through the Super Tuscan phenomenon (Piero was one of the main architects) all the way to his involvement in the New world and wines in Napa Valley. When I get home I will edit better, but I just wanted to get up this piece with one of the icons of Italy, a gentleman and a real pleasure to sit down with and sip on his wine, from anywhere in the world. Pop a good bottle of wine tonight and tell the ones near you that you love and appreciate them. Believe me, we all don’t hear enough of those good words. Cheers! It was a sunny day in St. Helena, after months of the dark and frigid torrent of winter back home. It should have tinged my disposition, but the blinds to my soul were still lowered. Maybe it was the phone calls. Maybe it was that mean look the workshop teacher shot at me. However this chapter was going to play out, I had to get away from the people around me, not infect them with this taint. 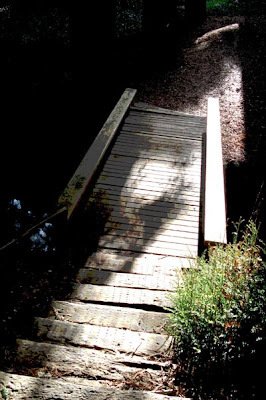 I trudged up to my room, waving off the man in the golf cart who wanted to take me up the hill. No, I would grind my knees on one more hill, maybe it would force the bleak out of me. Inside my room I returned a few phone calls. My son isn’t working these days and is wedged behind an avalanche of his own winter. We were in two canyons, yelling out into the heavens, but we couldn’t help each other. I could only hope the search team found one of us soon. Another call to a friend, asking me where he should take his wife to dinner in Dallas. After a few suggestions I thought to turn the question back to him. “I’m in St. Helena, where should I go eat?” He always knew the little secret spots away from the tourists. “Go to Cook. You can get a nice glass of Falanghina and reset your Italian soul.” While it wasn’t quite the buzzing sound of the helicopters sending down a ladder, I figured it was a possible way out of the chasm. So I grabbed myself up and headed to Main Street. I wasn’t that hungry. I haven’t been hungry for months. I was in the process of eliminating food lust from my daily activities. Not an easy thing for one involved in the wine business. But somehow that was a battle that I was winning. Inside the little café there was a counter. Perfect for the solitary diner. I took my seat as close to the kitchen hoping the warmth of the stove might sear off my rotten mood. Pre-op. The glass of Falanghina appeared, like the last rays of refracted light before the sun sets. Getting warmer. A simple menu took the complications out of decisions. And then, Frank Capra took over the rest of the evening. As the soup arrived, a remedy of cannellini bean and kale, a woman appeared next to me. Her regular seat was taken and I offered to give her mine. But she was well liked by the people who ran the place and they soon made her place ready. I really didn’t know what to make of it; I still had frost burn on the edges and my glasses were foggy. But it didn’t take too long to realize that the teacher had come to have dinner with her student. All day I had struggled in classes, and at one point when the instructor shot me this glance of disdain, I recoiled so deep inside, it was a shock. I couldn’t look the instructor in the face, couldn’t take another look like that. My crime? I had read something I had written in class, and even though I had prefaced it with an “OK, here goes, I might be going out on a limb with this one,” the instructor made the decisive cut. She hated me. Class over. Close the books. But that was in the past, and the soup and the wine were restoring me. And this town’s high school teacher was sitting next to me talking me back into the world of the living. It wasn’t so much what she said as just the simple California dialect we could speak in. I was after all, from this world, originally, these were my tribal places before the fancy people from the East coast showed up with their ideas and their agendas. I didn’t need an extension class as much as I needed remediation. Along with a delicious secondo, poulet au vin, that is what the teacher did, in a kind and simple way. We were talking about St. Helena; she had lived here all her life and had taught many of the winemakers who were now living in the million dollar bungalows and making the wines that had transformed her town. She had a goblet filled with ice and Coors Light. She looked up to a bottle of jug wine and told me a little story of several of her students and those jug wines. She was coaxing me out from behind the glacier, I could feel the thaw. The wine in the sauce was helping. 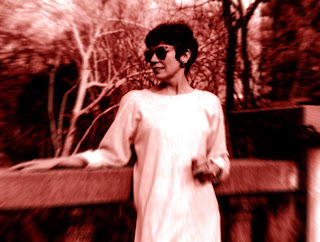 I thought of my wife, Liz, who had passed away on this same day nine years ago, part of the reason for my dark mood. But then there was this kind, sweet person who didn’t want to show me up and make herself feel superior at her student’s expense. She just wanted to drink her beer in her ice, eat her chicken in wine and break the monotony by talking to another person. She was better than the wine and the soup and the chicken, for me, she restored me back to hope, brought me out of the cave, all by simply being compassionate. This week I have been around some amazing people. The women among them that I have met, Margrit Mondavi and Frances Mayes, are what we call in Italian “mitico”, legendary. And there have been the new young up-and-coming ones this week on the wine trail, Molly from Seattle and Whitney from Los Angeles, future M.F.K Fishers and Jancis Robinsons for their generation. But tonight this California expat couldn’t have asked for a better night out than with the dear old high school teacher with her remedy of kindness. Tonight, I have taken a little detour from the wine trail, and if you indulge me, it is time to remember. Every February 14th and 17th I cross over two events, the birthday of my lost love, Liz, and the date she left us. It has been nine years and so hard to believe we have gone on without her. But life is exactly that way. Not selfish, just survival. I met Francis Mayes last night, who single-handedly brought Cortona onto the world stage. Nine years ago, during the last Christmas in 2000, Liz gave me a book by Francis Mayes, the last gift she would ever give me. Books, in those last days, were our companions from a death soon to be delivered with slow and painful determination. Death isn’t neat and the aftermath isn’t clean or quick. When I pull an older Italian wine out of my closet, something from the 1960’s or 1970’s, I think about the hands that touched those wines, hands that are now lifeless. And though those hearts no longer beat, the wine in the bottles carries the lifeblood of those souls who put their lives into the grape and the sun and the wine. Yesterday, I made a trip to the Tokalon vineyard for a lesson in pruning. As I was cutting parts of the vine back, I thought about sections of my life that have been pruned, sometimes in extreme measures. Always, the vine lives and gives back energy to grow another season. 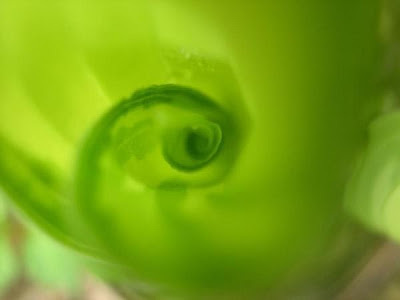 Does a vine cry or is it merely the milk of the life force that a good pruner brings forth? 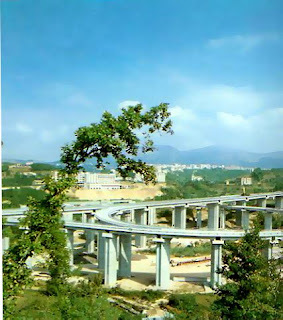 The cycle of the vine and the days of a life are intertwined in their collective destinies of survival and output. In California, it is spring. Last week in Texas we had a foot of snow, in a day. The week before in New York, there was wind and bitter cold. While winter still wrestles east of the Rockies, spring washes up on shore in California, and fields of mustard bathe the dormant vines in golden light. We’re beating folks up over a $14 Soave and a $12 Montepulciano and then we run into this – I don’t know how to respond. And it’s going on it Italy too. 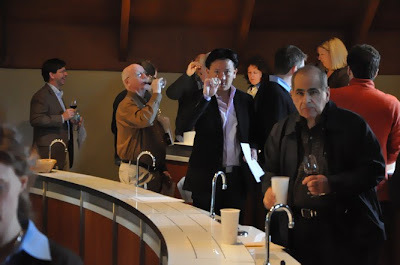 Earlier this month at the Vino2010 wine event in NY, I was tasting Tuscan wines. One fellow pulls me aside to sample his Rosso di Montalcino. The owner is a wealthy young man whose family sold a great estate and he is building his empire. Nice young man – good businessman. The wine is a little modern, but not off-putting. And then the price. 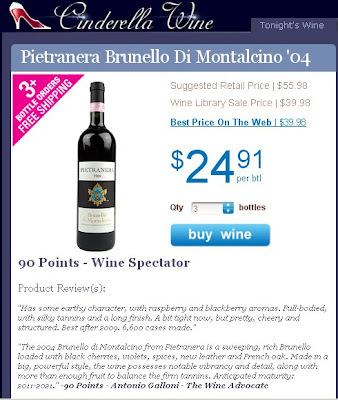 Retailing for around $32-36- a Rosso di Montalcino, in my world? Come on folks, that dog won't hunt. Example: I get a call from a restaurant owner in the suburbs. They are hunting for a Brunello, an Amarone and a Barolo for their list – seems a lot of folks from New York and Californian have moved to their areas and are asking for those wines. “Do you have anything for, say, $18? I’ve seen an Amarone at Trader Joe's for under $20 the last time I was in California.” That’s the bloody reality of these times. I know the wine he is talking about. But I doubt if it is an authentic Amarone. Look, it’s just too expensive to produce a wine like an Amarone and sell it off a retail shelf in San Francisco for $19.99. This is the quandary the Napa Valley producer has – being able to compete in a market with wines from South America, South Africa and Australia. Even as people who usually buy those wines are trading down (from $20 to $10, etc.) for the Napa Valley winemaker, one who has been growing grapes for a generation, what is their next move? Discount? Find all the wealthy people who will buy those 300 cases at $100+ a bottle? Hold onto it until (if?) the market bounces back? Keep hunting? Are we in the winter of this current economic decline, or is it only Indian Summer? Do we have another 18 months, or is there something else going on, like reducing the consumerism we all have been taught is good (for the GPD)? I do not like telling wine producers their wine is over-priced for the market. They tend to want to shoot the messenger – it’s like telling a parent their child is ugly. No one wants to hear that or be the bearer of the bad news. 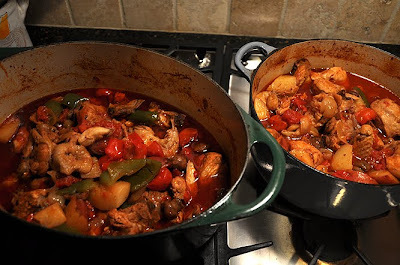 This week, life handed me chicken (not rabbit), so last night I made pollo alla cacciatora. Seeing as today is Valentines Day, I figured I’d make a whole pile of it and eat on it for a few days. Anyone who knows me knows this is a special day, as it was the birthday of my dear wife Liz, who died in 2001. I still miss her very much. There is no closure after a year – or ever. Loved ones depart, but they never go away. And why would we want them to? My co-conspirator in food and wine knows this – she lost her man to a heart attack in 1998. Maybe that’s why I always make so much food. 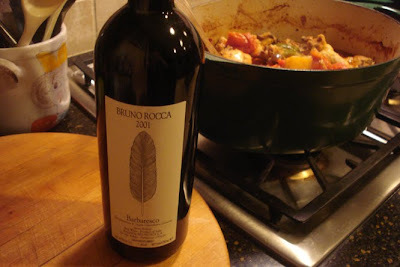 Last night I cooked for all of us – even those who weren’t here to enjoy it with us – and opened a bottle of 2001 Barbaresco (one that I can no longer afford) in remembrance of Liz. The food and wine was memorable – but not as sweet as the memories of love, lost and found, along life’s trail. It all started with Carmen. 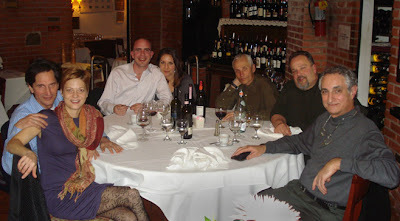 Our night with Anthony at Manducatis was so much fun, that I wanted to share the energy of the place with my friends. So I started inviting folks. First, Paul, then Denise and Juan Pablo and then Ronn and Hajni and finally, Damon. Amongst us we had a master sommelier (Damon), a Master Sommelier and Master of Wine (Ronn), a couple of young wine buyers (Denise and Juan Pablo) who are also a couple, Hajni, whose family makes wine in Hungary, and Paul and me. We could probably handle a wine list like Manducatis. Walking out of the Waldorf-Astoria, I noticed a stretch limo, long enough for seven. With a little unsuccessful bargaining (he wanted $70- I offered $50 – no deal) we walked a couple of blocks to Grand Central Station to catch the #7 subway to Queens. Two stops later we piled out of the subway and ambled towards the fabled restaurant. Damon came to earn his credentials a little later in life. Simply said, we were in the presence of wine world royalty. I know they are just human, and they put their pants on the same way. Around me, they never act with any degree of entitlement. Here’s the crux of it to me: We have these gents like Ronn and Damon, who are eminently qualified (and certified) wine experts – nicer guys you wouldn’t want to meet. And they share their information in an inclusive way, none of that secret handshake hooey. Then we have these new media wunderkinds, maybe they’ve been blogging about wine, part-time for a couple of years – what are their qualifications, their expertise? They get a few hits, some recognition, the bright lights and they begin to believe all the stuff that’s written about them. Maybe Andy Blue was on to something. Maybe I'm just not buying into the swagger of the new media muezzins. Maybe, just bring back nice. OK, op-ed over. On to the wines. Ronn was favoring a Tuscan and a Piedmont red. 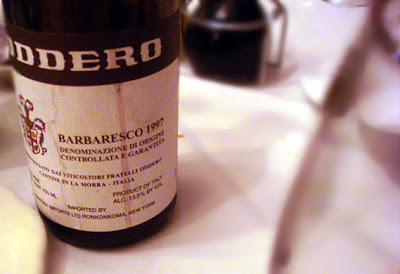 The Tuscan was the 1999 Ricasoli Casalferro and the Piedmont red was the Oddero 97 Barbaresco. 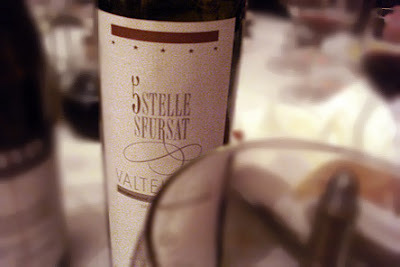 Damon was looking at the 1998 Nino Negri Sfursat Cinque Stelle and a 97 Brunello, the Friggiali. Oddly, there were no white wines listed. Anthony seemed busy that night, so we didn’t want to bother him and just ordered from the list. That was probably a mistake, as this wine list is his baby and he probably would have wanted to steer us a little in one direction or another. It is my sense that he knows where all these wines are at in their development, and probably because of his closeness to the table and opening wine bottles all the time. His expertise most likely ranks a tad beyond any of is at the table that night. Not to say there weren’t those of us who had thoughts and opinions about wine. Paul, I found out, really thought he didn’t like Nebbiolo, but the Cinque Stelle won him over. I believe he even came to like the Oddero, which was showing very well. It was a 97, usually not my favorite vintage from Italy, but the wine was handled well in the cellar. It also didn't seem to suffer excess ripeness that marred many of the 97’s I have tasted. The Casalferro was my least favorite, and seemed to be a slight disappointment at the table, as it wasn’t finished. Seven people and four bottles of wine shouldn’t have been a big deal. Sangiovese and Merlot – probably not the way of the future for Italy. The Friggiali was a wine I had no experience with. Pretty label. Maybe too ripe for me. And oaky. Frankly, it was starting to resemble an over-ripe red from Napa and we all know that is not a trajectory for Napa or Montalcino in these times. Leaner, less oakier, would have been more to my preference. 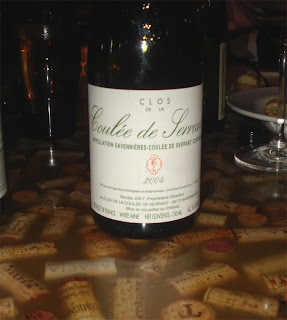 But it was also under $70 on a wine list for a wine that is almost thirteen years old. So really no reason to complain. Ok to rent, but not to buy, my dad would say. The real deal of the night was getting Damon and Ronn together and watching their vine-minds sparring with each other. And of course, the whole party was just about as agreeable and happy to be together as I have seen in a fortnight. I could go on, but we all know I over-write these posts. 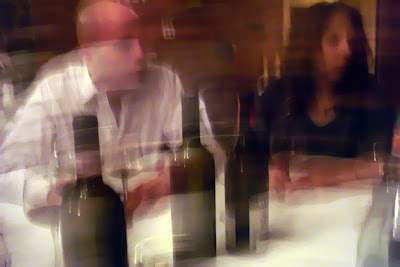 The notes I got from folks in the party afterward was enough of a reinforcement that this night, which I longed to put together friends to drink wonderful old wines and kick back in Queens, well that was the reward enough for a week spent working and breathing on the wine trail in Old New York. After a couple of days at seminars during the recent Vino2010, where along with others I was hosted by the Italian Trade Commission, I noticed one of my friends getting a little stir crazy. Sausage Paul wasn’t used to sitting around, talking about wine. He was Joneseing for a field trip, so when he suggested we cab it to Little Italy so he could visit some of his purveyors, I jumped at the chance. Mind you, I’m a lover of luxury and ease, just as much as the next person, but New York isn’t always about the easy. 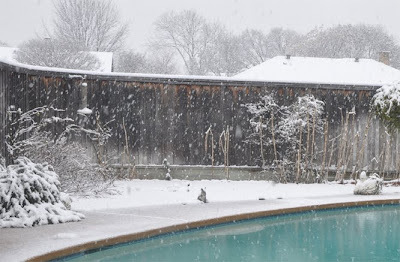 It is a challenge to live in the city, as I learned that lesson so well 35 years ago when I decided to immigrate to New York from sunny California. It was a short lived move as I missed sunsets and horizons, wide open skies and the feeling of individuality. And while that might sound a little Rod McKuen-ish, somehow I always felt more unique in California than I did in New York. And Texas, forget about it. We’re all uber-independent here in the Lone Star State. This all plays into my Italian pathology, which imagines they all love us, "for who we are", as much as our mother does. Uh huh. Outside of Di Palo’s I could see Sausage Paul coming to life. He was in his element. And it was a great thing. After taking him to Italy a few years ago and seeing him respond to all things Italian around him (even my Italian style of driving) this time the shoe was on the other foot. People were coming out of their stores and shouting at him, "Hey Paulie, whatcha doing in New Yawk? Come on in, have a cannoli or a sfogliatelle.” It was like that all over the place, Sausage Paul was part of the fabric of Little Italy. This time I was the visitor, and glad to be part of his entourage. 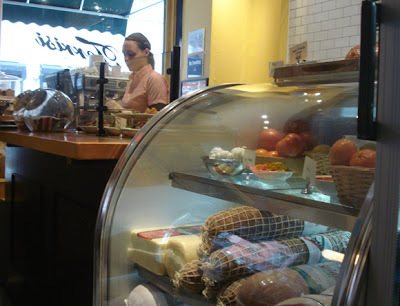 Inside Di Palo’s, Lou and Paul talked about this little Italian deli on Mulberry that uses only American made products. 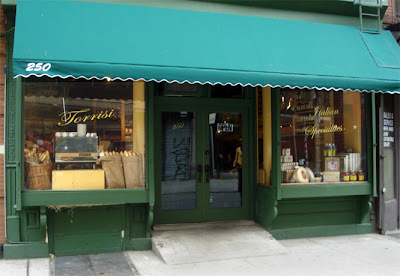 We sprinted over to Torrisi Italian Specialties just in time for lunch. Inside, there were all kinds of wonderful offerings of little vegetable plates, from potatoes with peppers to broccoli rabe to lupini beans. I was set. Paul ordered a Hero. When it arrived, I did a double take. It looked like something I knew as a grinder, growing up in Riverside Country, but the same effect. A crusty bread outer and thinly sliced ham and capicola and cheese, littered with spices and a chiffonade of lettuce. Paul sliced me off a corner of it and man, was it food-lust at first-sight for me. I was going to Paradise via the Van Wyck of pork. After stopping by the counter to give the owner an attaboy, we headed back towards a place Paul wanted to visit, his music and t-shirt supplier. 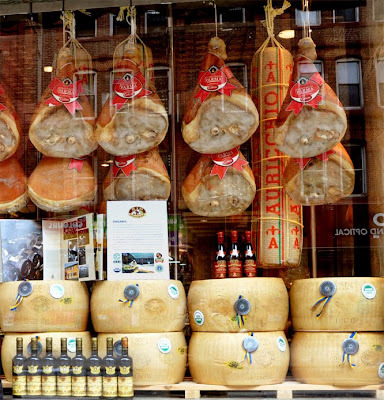 Ernest Rossi’s family has been in business for over 100 years, all on the same block. 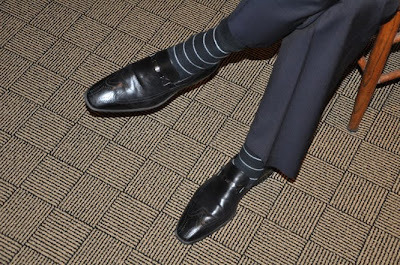 A sweet guy, who has everything under the sun in the way of swag, Italian Style. I was eye-balling the Dominic the Italian Christmas Donkey t-shirts, really wanting one. But we were moving fast. Paulie's got a lot of friends in Little Italy and he was only there for an afternoon. We did make one diversion into Ferrara’s for an espresso and trio of mini pastries. I inhaled the cannolo, while Paul savored the moment. 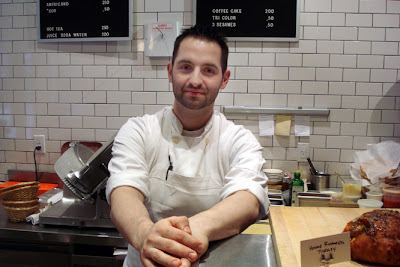 This is a guy who can hold his own when discussing the merits of zampone or cotechino. 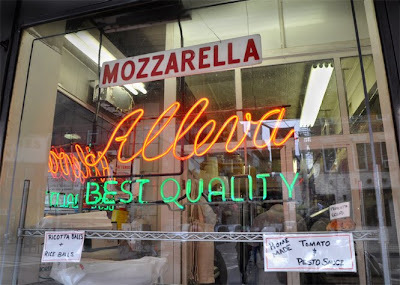 I just watch in admiration as he spars with the giants of Little Italy as they discuss this sausage maker or that baker as if they were talking about the Brooklyn Dodgers or the New York Giants. I was in awe. And wine, on this field trip to lil ‘ol Ittly? With the exception of the brief moment we stepped into Di Palo’s enoteca wine shop and looked over the Valtellina and Basilicata wines, this was all about food. To be perfectly candid, it was a welcome break from wine 24-7. 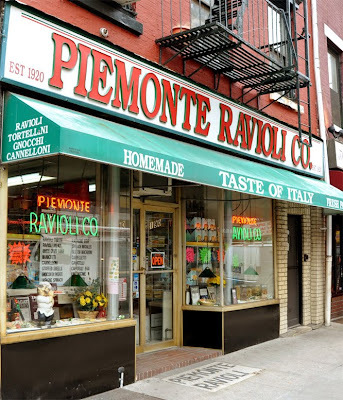 And even though my food lust is in remission, it is a rare event to walk the historic streets, once the epicenter of Italian American life with one of the new ambassadors of that movement, one who keeps my home town well supplied with all the necessities for a well equipped pantry. I’ve been thinking (and eating) on this ‘ol blog lately. Last week in NY for the Vino2010 event, myself, along with others in the trade were hosted by the Italian Trade Commission. There has been some pondering on the current state of affairs regarding Italian wine along with the merchant’s responsibility to move business forward and the observers tendency to chronicle the pageant which unfolds, daily. 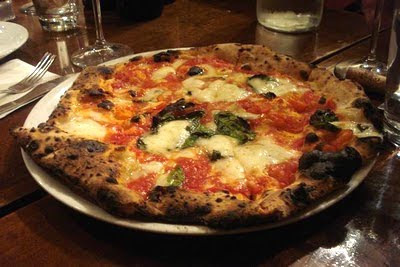 With all of this thinking and observing one can work up quite an appetite, so last week, upon the invitation of Tom Hyland and Charles Scicolone, I headed to the West Village, to Bleeker Street, and Kesté Pizzeria for a night with the boys. Charles’ friend Ernie DeSalvo, and winemaker Alberto Longo, also joined us, both contributing some great wines for the night. Where to begin? After a long weekend in La Jolla, I was veering off the path that my self-enforced diet had taken me. But if there are temptations in California and New York, and there are, wait until I get to France and Italy next month. So I’d better get a grip on things now. 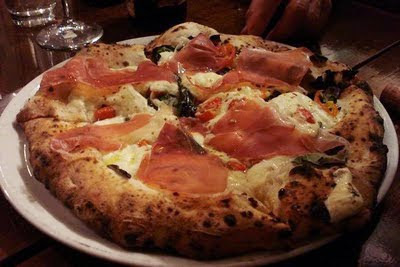 But this night was devoted to pizza, and not just any pizza, but a veritable Mecca for pizza Napolitana. I’ve had some great experiences in Italy and America with pizza, but Kesté ranks way up there. 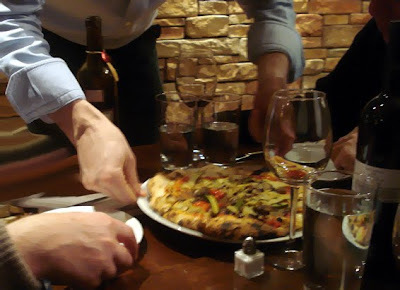 Wine with pizza is a toughie, I know there are folks who think pizza is for beer, but none the less some great wines popped up on the table. 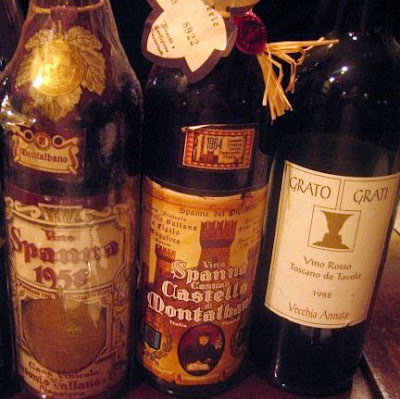 Charles and Ernie brought a trio of wines from the vaults, a 1982 Grato Grati from Villa di Vetrice, a 1964 Spanna Castello di Montalbano and a 1958 Spanna from Vallana. 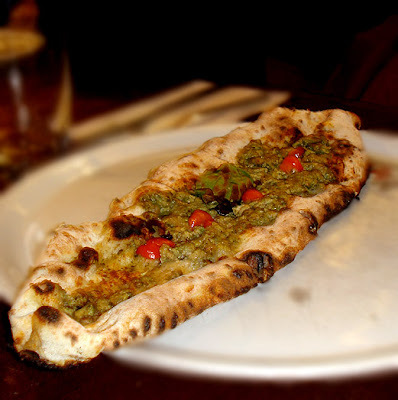 Starting with a duo of Battilocchio, long pizza-like rectangular affairs, reminding me of the Pannuozzo I’d had earlier in the winter (I wonder if anyone can explain the difference between Battilocchio and Pannuozzo). 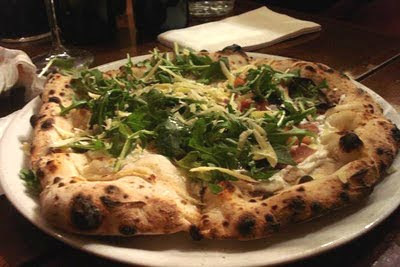 We eventually had several pizzas, among them a Margherita, a Vegetariano, a Prosciutto e Arugula and the signature Kesté, also with prosciutto, arugula, fresh mozzarella and tomatoes. Alberto, who lives north of Bari and has a place in the West Village (“an investment for my son”) brought one of his wines as well, a full bodied red that was fat and tan. We were living large. Thanks to Ernie for his sunny and easygoing disposition. 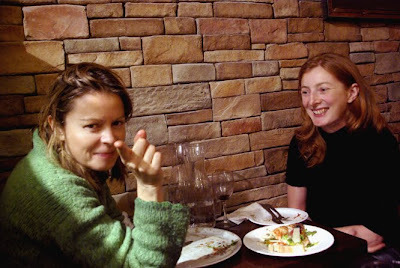 Tom Hyland (who also marvelously posted on his blog about the evening here) made sure the night was documented by his effervescent photography (this image of our female nearby-table mates from Australia was captured by his lustful eye). 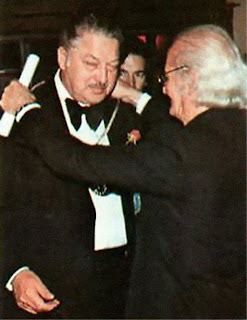 Alberto was pleasant company and his generosity that night was of the quintessential Southern gentleman type. And of course Charles, the lion in winter, Charles the brave heart, the soft spoken but vigilant warrior in the crusade to bring Italian wine to America's table. Has anyone ever properly accorded Charles the respect his is so rightfully due in being one of the beacons of light for Italian wine in America? Perhaps, but as with most of those who labor under the gaze of Bacchus, I rather imagine other ones with a louder shout and better p.r. placement in the media circus probably get undeserved credit for the contributions people like Charles have made. 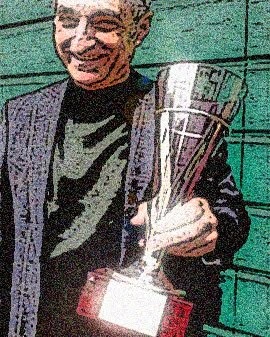 Let me just say, I don’t think – I know this is the truth- there is so much posturing in the Italian wine business, and on wine blogs about those who think they are “forze maggiori.” But behind the swagger and the shouting, there are the real forces, behind the curtains, making the history. Ok, there, I’ve said it. I cannot imagine a better moment than the evening I had with this league of gentlemen. But this is just the first in a week of New York nights. So let us simply mark this as one of many to come, all of which will unfold on this indulgence of mine along the wine trail, sometimes in Italy, and once upon a time in America. 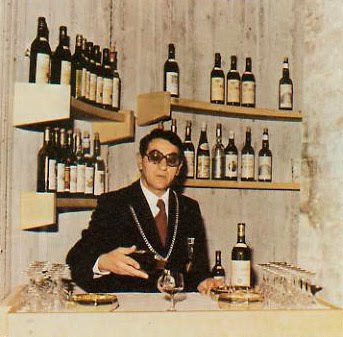 When I first went to Vinitaly in 1984, I arrived with the single-minded energy (and arrogance) that I might just be one of the experts on Italian wine. Upon walking into a guided tasting by the Italian Sommelier Association, I quickly realized that I was nowhere near having any kind of voice of authority. All around me were people who had spent a lifetime in the ranks, learning, honing and refining their knowledge of a very complicated subject. And so it goes, every time I walk into one of the pavilions at Vinitaly or attend a Gambero Rosso tasting. There are hundreds of folks who know the difference between Cappuccio and Mascalese, or Nebbiolo and Chiavennasca and surely, Prugnolo from Morellino. 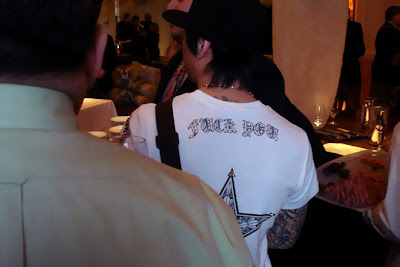 This week in NY at the Vino2010 event was also one of those moments. This time, however, there were young and old alike, vying for their place on the ladder of preeminence. Is it any surprise in today’s emotional climate that there are so many people who do believe they are the world expert regarding Italian wine? Chatting with a couple of wine guys who have achieved mastery (MS & MW), we kicked around the question of who might actually be the world’s authority on Italian wine. What would their qualifications be? How old might they be? Male or female? Native speaker or interloper? There emerged several archetypal candidates. One is my memory of an older gentleman, Franco Tommaso Marchi, the sommelier who led that first tasting at Vinitaly a generation ago. I would read about him in the Civilta del Bere, really the only magazine at the time about Italian wine in English. 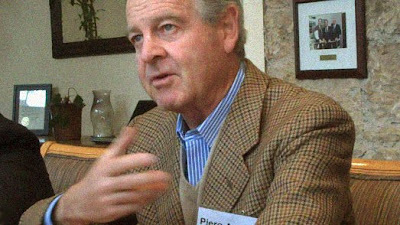 He had many students and followers and seemed to be highly respected for his working knowledge of Italian wine from a sommelier’s perspective. Another candidate might be an educator/consulting winemaker. There are quite a few of them around these days. Someone like an Attilio Scienza might fit that category – published, with a very nice way of understanding the layers of wine from the roots to the finished product. Someone who blends the historical with the practical and provides a path to a finished product. This archetype actually participates in the process and shares in the evolution as well as delving into what came before. The wine evaluator, someone like a Luca Maroni or an Anthony Galloni, seems to exhibit a route for expertise, based upon tasting, evaluating, and ultimately sharing their knowledge and assessment to a large following. They move wine into the hands of many people, they propel the idea of Italian wine forward rapidly. They are influencers. 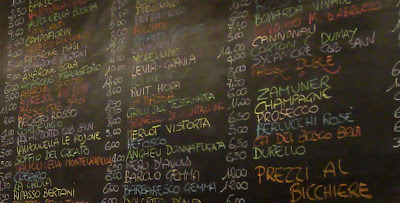 And what about the Italian wine blogger, someone like a Ziliani or a Pignataro? Here we have experts with a command of Italian culture and politics, whether in Italy or back and forth between the old country and the new frontier. There is intellectual capacity and understanding of the scene from the ground up, with the ability to disseminate their passion and their knowledge to a new audience and in a rapidly moving medium. How about the wine geek? You know the type. 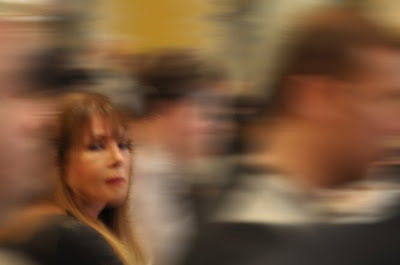 This is the person who goes to a tasting and tries all the wines in the room, makes notes about all of them, keeps copious notes, categorizes them and has a photographic memory, able to remember every wine, every perceived nuance and has the ability to pull this up on a moment’s notice, from memory. Maybe it is a merchant, drawing from the importing side all the way to the wine shop? I have often been dazzled by the bright people with their working knowledge. To be able to know the difference between a southeast vineyard in La Morra and a rough-and-tumble plot in Serralunga, and be able to clearly evoke the difference and the reasons for those difference, isn’t that in some way a highly evolved form of expertise? I remember meeting someone like that in a little coastal town on the Adriatic. Might this perhaps be the kind of person to lead us all? What if the person who is really the world’s authority on Italian wine wasn’t any of this? What if instead it were a cellar master who toiled below ground for years like a monk? Maybe he (or she) wouldn’t know all of the DOC or DOCG’s (does it really matter?) but had an intuitive, visceral connection to the root of all Italian wine inspiration? Someone with a direct line to Bacchus? I don’t think I have ever met the world’s authority on Italian wine, although I have met many people who have thought they were. And I’m not even sure if such a person could exist, the subject being so complex and dynamic. But it is a matter for reflection, in that where we do gather our information and inspiration is an important thing. Whenever I'm at a seminar or a tasting and, as it is often clear, I am not the smartest guy in the room, I look to the one who is and mine a little nugget, to put in my vault. And while I am long beyond wishing to be what I am not, all of these kinds of people have been an enormous help in my continuing education along the wine trail in Italy. So for me the world’s authority on Italian wine is perched safely inside my mind, like the conglomerate wizard, constantly changing, morphing evolving, dying and being born. And that will have to suffice, until the next best thing comes along.